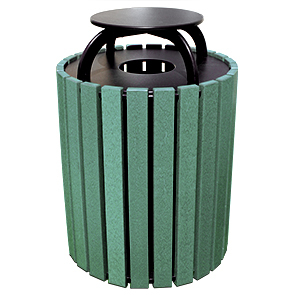 These outdoor recycling or trash receptacles look great in a park, zoo or botanical garden, or outside of a business, school or hospital. The additional cap helps keep rainwater out. A recycled plastic liner is included to hold your trash bag.